Now we all know what a skincare fiend I am and I’m always down to trying a few new products. 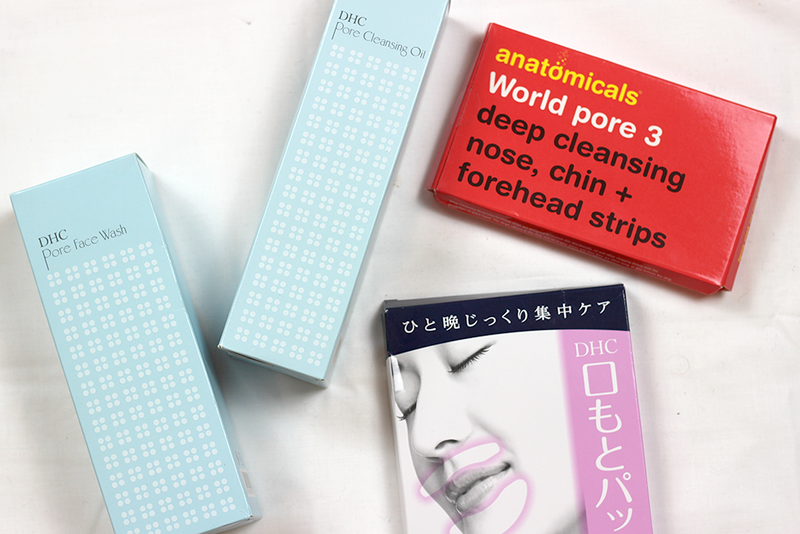 This post is mostly DHC based after falling in love with their under eye masks so of course I just had to try a few more products out. First up, I’ve got a couple of cleansers to give a mention. The DHC Pore Face Wash* is a super foaming cleanser that I’d recommend using daily to reduce the look of pores. The cleanser has two gentle exfoliants, baking soda and pear juice alpha hydroxy acids to make your skin feeling soft and refreshed, and I can vouch for it, it does! The best bit? The super lovely grapefruit scent! Now I won’t be using this daily my self as we all know how obsessed I am with my Liz Earle Cleanser and my skin totally plays up when I don’t use it regularly but I will be swapping it out for this every now and again though. The DHC Pore Cleansing Oil* is such a nice product to remove your makeup. I’m not usually an oil fan, there’s just something I don’t love about using it on my skin but I’ve actually been enjoying using this one. Again it features the grapefruit scent of the Face Wash and I really like that. Something a little odd and definitely something I never thought I’d be mentioning, in fact, I didn’t even know it existed but after trying and falling in love with the Revitalizing Moisture Strips for Eyes I just had to try the ones for your mouth. The RevitalizingMoisture Strips: Mouth* are something I probably don’t need to use as it is used to fight lines around your mouth but I really felt it was worth a mention as I really did love the ones for eyes. Now I can’t say whether it had an effect on me or not as I don’t have the problem to combat but it’s not bank breaking and so I’d really recommend picking up a pack of these to give a go if you do find it an issue. Last up, I’m talking a product from Anatomicals and it’s the Anatomicals World Pore 3 Deep Cleansing Nose, Chin and Forehead Strips*. These are deep cleansing strips and are ideal for removing blackheads. These are super affordable so totally worth a go if you suffer with them quite badly. What new skincare products have you been trying out lately?